Map showing location of Butchers Pool . Use the controls on the map to zoom in and out. AWESOME, AWESOME, AWESOME!!!! absolutely fantastic.... the natural setting, stars, hot spring water, great company, great conversations a few wines makes for a night a fun...what can i say but.... ooohh it's romantic.... haha lol! 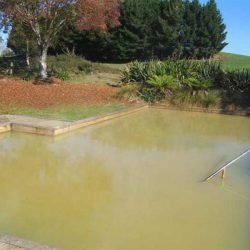 Recommended to us, we visited today and found pool in similar state to previous review. The metal sluice gate has been removed, hence low water level, scum probably not helped by local lady shampooing her hair and soaping her body. Such a shame, very pretty place and the water WAS lovely. We visited in 2005 and found this little gem. We are in the area again with our friends and visited on Wednesday. What a disappointment. The pool was covered in scum. The gate was broken and there was broken glass. We won't be going back. 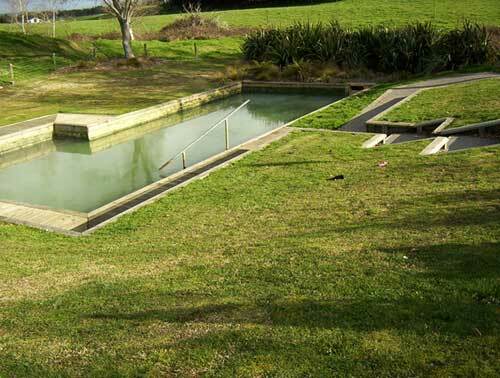 worked in reporoa in early 90s and have lots of fond memories of butchers pool. one day i will return! I had been looking forward for some years to visiting this pool, but was terribly disappointed when I visited inMay 2013. The pool was more than half empty and full of scum. Someone brave could have got in and dealt with the inlet/outlet situation, but it was very unappealing. The rural surroundings were about the only thing it had going for it. There was also a car full of unsavoury characters drinking in the car park. So sad. When I was travelling wiht the kids years ago it was tradition for us to stop at butchers pool. What an awesome place for whaanau to gather. Lokking forward to bringing the mokos. A great facility for the community! We thoroughly enjoyed our trip to Butchers Pool. Look forward to another hot swim when we are next in the district. Lovely natural hot spa. In one corner the gas bubbles up giving a nice natural spa. Improved greatly in recent years. Well sign-posted off Reporoa Rd. In open farmland. Awesome pool, in the middle of nowhere, no lights, great place..
Unforgetable out-of-the-way place, fabuous public treasure and a gorgeous temperature on a cold winters day. A dip cut short with the unforgetable, disgusting array of litter, the council van that came and left & seeing local women washing their hair with shampoo. Loved the harakeke planted area, steps etc. How about a sign re how it works - geothermal, why gravel and pea soupyness and local pride to leave only footprints! Awesome idea and we loved the pool, but a pity about the scumbags that did the tagging all over the place. There was broken glass at the side of the pool which made me a bit nervous - I'll wear jandals next time! Be aware the water won't be crystal clear - there is no bottom to the pool. The hot water is coming straight up from the gravel in the bottom. We jumped into the brown water (in the rain!) and loved it. Well worth stopping off for a swim. Please look after this facility! My husband is a Reporoa boy, he took me there on our last trip to NZ, what a lovely spot for some romance. We used to go here as kids - an awesome place to relax! Great memories, and great games played 'staying away from the algae' - I loved the gravel bottom of the pool too. Nice spot. Very quiet, nobody else there despite it being school holidays. Take a hat with you, as there is no shade at all. 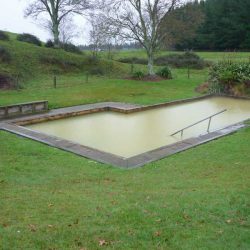 I have visited this pool over a period of years, whilst en route between Auckland and Wellington. It is a "must do" stop for me. A beautiful spot at 2 a.m. on a starry night. A very pleasant hot soak and a rest in hot or freezing weather. I will usually have something to eat - a pie and a coffee, when I sit down in the water. 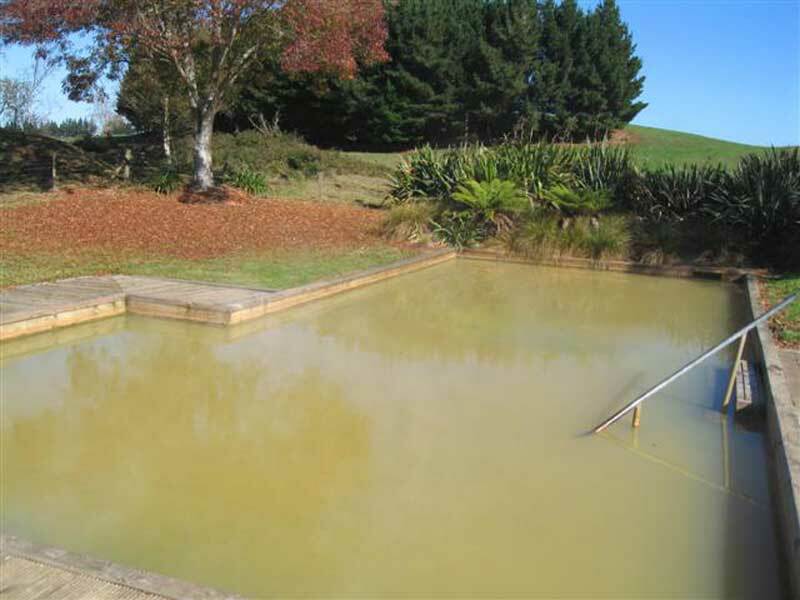 The muddy-coloured water and the scum are harmless and a natural product of the unfiltered and untreated hot springs which feed into the pool. When the water gets a bit too scummy, you can always open the sluice gate and let it flush out for a while (but do remember to close it so that the pool will fill up again). I gather that the council flush it like that once a day anyway. I wouldn't recommend immersing your head in the pool or drinking from it, simply because there is a *very slight* risk of amoebic meningitis from amoeba that *may* live in the pool. Having said that, quite a lot of regular/local visitors to the pool do immerse their heads - including children. I have not heard of any cases of amoebic meningitis there though. there was scum all over the top we couldnt even see the bottom natural thermal water is usally clear and there were disgusting plasters everywhere and the water wasnt even warm and there was a naked old man in the pool with a bucket and soap..... disgusting we say wouldnt even let our dogs swim in it. wont go again was a waste of time only dipped a toe to feel temp. Amazing!!! 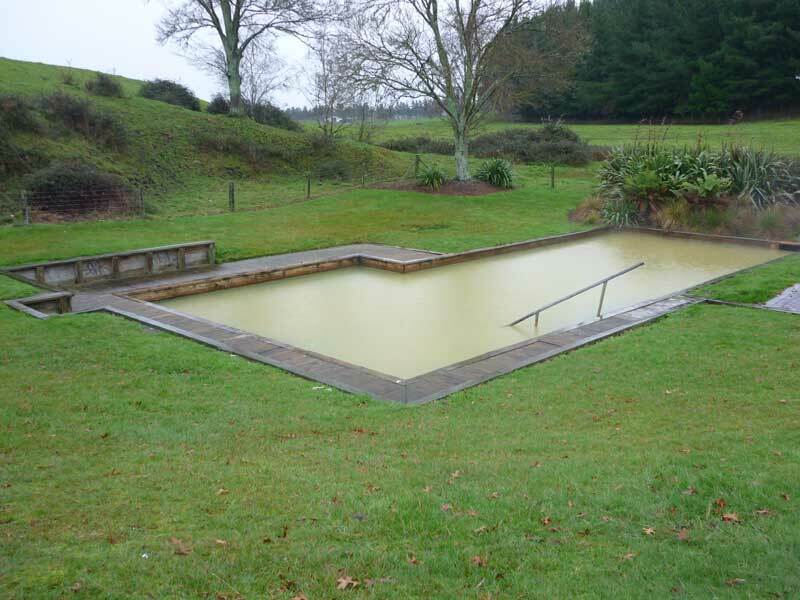 How's that, having a pool in the middle of a paddock well thats a first for me. The water is clean and clear, you can see the bubbles rising from the bottom through the natural filter system of the gravel floor. Then taking a step into the water and slowly sinking in deeper till the water is sitting under your chin, it's so relaxing and warm that you don't want to get out. Move around a little and you can feel the heat difference throughout the pool from 37-41 degrease. So in all it is the best, oh and so are the locals!!! A poor imitation of a genuine hot pool. When I went there their was thick algae atop the water. This is hardly in a natural setting. The concrete pool is on the edge of a paddock. I dipped my finger in, but walked away without risking immersing anything else. Every chance we get to tank up the car and go for that relaxing drive we head off to "Butchers" as we call it. A nice scenic drive of rolling hills and great, green pastures from my little town Putaruru in the South of Waikato. Awesome locals and a handy fish n chip shop nearby, not to mention the quaint Public Bar thats situated not too far from the takeaway shop. Yes, I give this place of free leisure a big thumbs up! Fantastic - clean, hot (almost too hot) and set in a nice paddack surround which is really peacefull. Well maintained too. I have been to this natural pool since I can remember. As my whanau are from all over Rotorua, Kauwerau, Murupara etc... It has changed over the years but is still extremely natural!!!! Awesome spot - watch the steps... they're slippery! 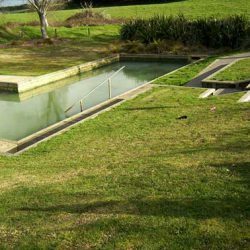 This pool is not owned by the Rotorua settlers but is owned and maintained by the Rotorua District Council for the free use of all. 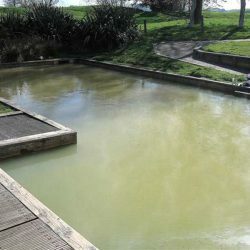 RDC developed the site in 2000 after a generous grant to them for this purpose by the Rotorua Energy Charitable Trust. 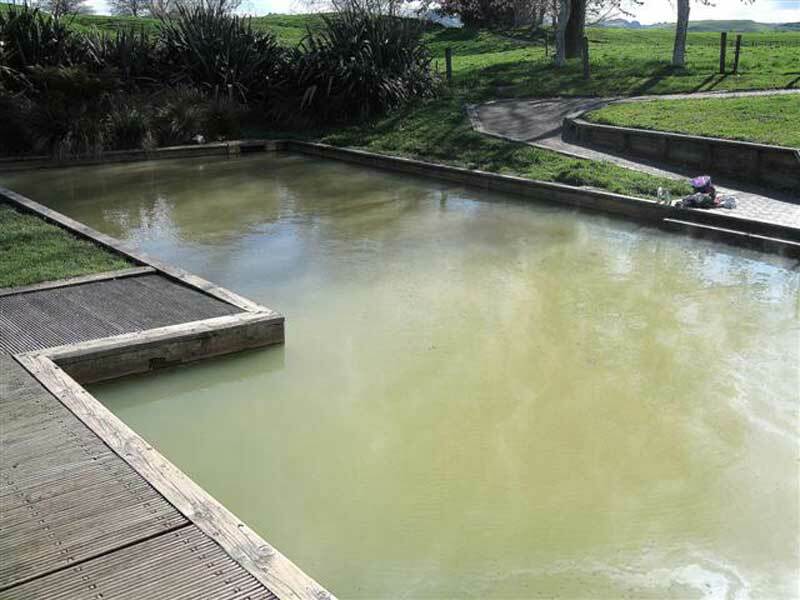 For more info and further verification contact Garry Page, Parks & Recreation Manager with the Rotorua District Council.